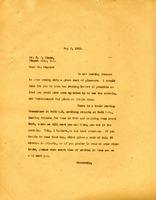 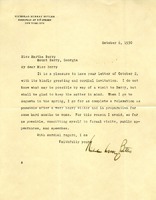 Mr. Butler (president of Columbia University and winner of the Nobel Peace Prize in 1931) lets Martha Berry know he is not sure what time he has available to visit, as when he takes time off from work, he does not like to have obligations. 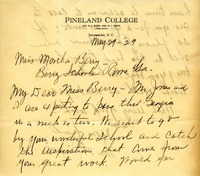 The President reports his expenses for his trip to Berry at Miss Berry's request. 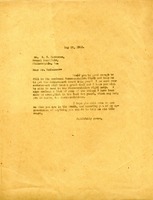 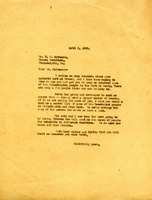 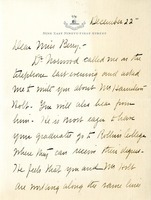 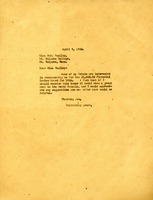 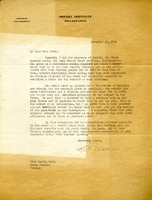 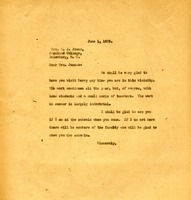 A note in pencil denotes a check sent on 5/27/29 by Hoge. 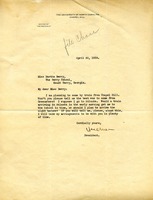 Chase writes to make travel arrangements for his visit to the Berry Schools. 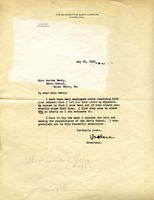 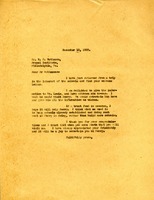 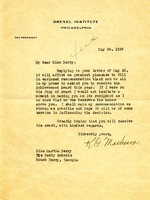 Berry responds to Dr. Matheson's letter by saying that she has written to Mr. Lewis and hopes that a trust fund to benefit Berry can be established.